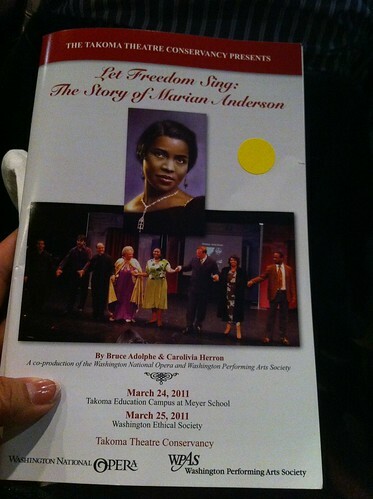 PIC: Special performance of LET FREEDOM SING: THE STORY OF MARIAN ANDERSON via The Takoma Theatre Conservancy, originally uploaded by @jozjozjoz. PIC: Gifts from Khadija Hamdi, 1st Lady of the Saharawi Arab Democratic Republic. 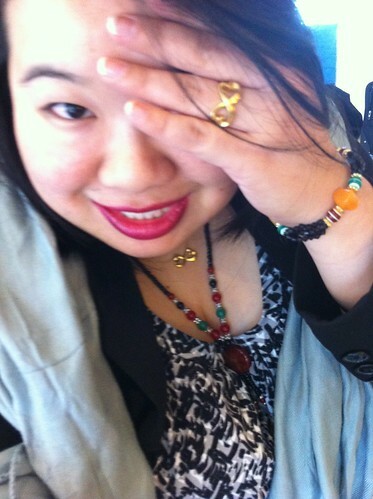 Handmade necklace & bracelet made by refugee women in her region #iwmfconf, originally uploaded by @jozjozjoz. 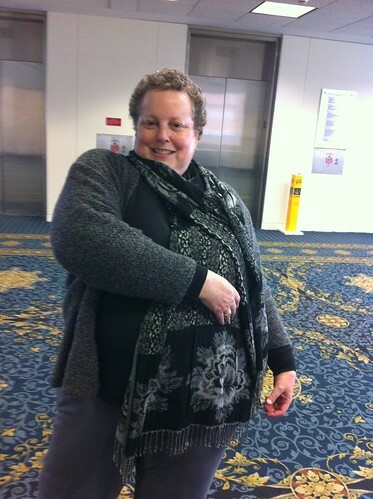 PIC: Diane models a lovely scarf left behind by an #iwmfconf attendee… Let @IWMF office know if it’s yours! PIC: Diane models a lovely scarf left behind by an #iwmfconf attendee… Let @IWMF office know if it’s yours!, originally uploaded by @jozjozjoz. PIC: The #iwmfconf is officially over! 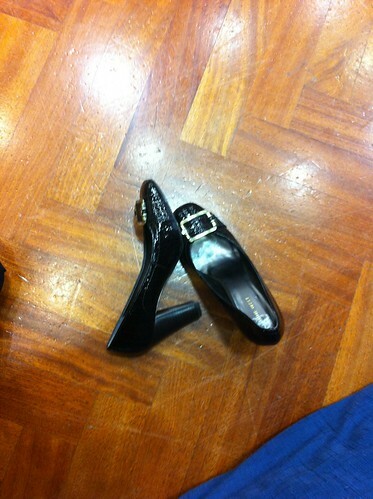 (This is how I celebrated! ), originally uploaded by @jozjozjoz. 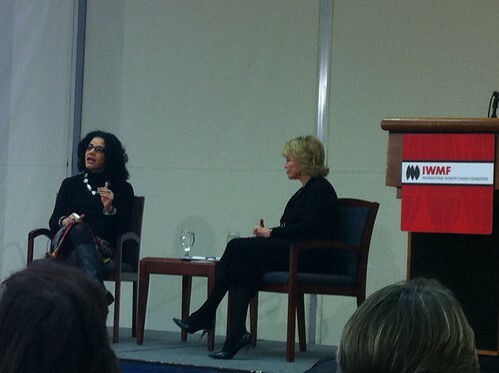 PIC: Pat Mitchell of @paleycenter w/ @monaeltahawy at #iwmfconf // re: Egyptian Revolution // h/t @sandmonkey, originally uploaded by @jozjozjoz. 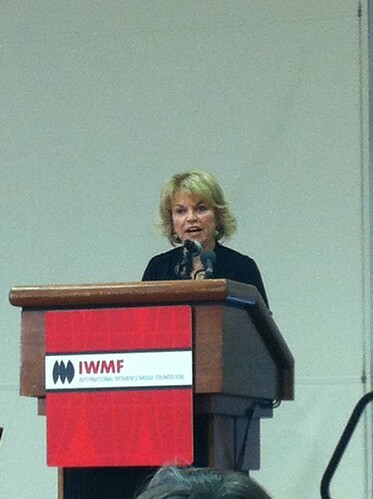 PIC: Pat Mitchell of the @paleycenter gives inspiring remarks at Closing Luncheon at #iwmfconf, originally uploaded by @jozjozjoz. PIC: So sweet! The delegates presented @IWMF staff & #iwmfconf team roses! PIC: So sweet! 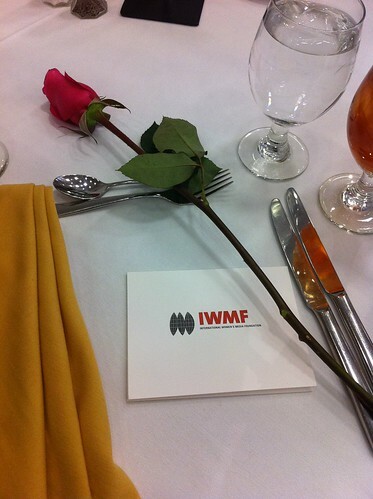 The delegates presented @IWMF staff & #iwmfconf team roses!, originally uploaded by @jozjozjoz. The jozjozjoz.com archives for Friday, March 25th, 2011.